Running Blind was adapted for television by Jack Gerson, Scotland’s finest and most prolific television scriptwriter. In addition to creating Scotland’s first TV soap opera High Living, which ran on STV from 1969 until the mid 1970s, he worked on series such as Z Cars, Sutherland’s Law, The Regiment, This Man Craig and The Omega Factor. Also an author Gerson wrote a number of successful thrillers during the 1970s and 1980s, many based on his television scripts, including: Back of the Tiger; Death Squad; The Whitehall Sanction; The Assassination Run and The Treachery Game. Jack Gerson was born on York Drive (now Novar Drive) in Glasgow’s Hyndland district in 1928 to Sam Gerson, who was involved in the fledgling movie industry as a film distributor, and his wife Jean, née Barton. Sam’s parents had come from Kiev, capital of Ukraine, which at the time was part of the Russian empire, in the late 19th century. Jack went to the nearby Hillhead Primary and High school, where his best pal and life long friend was the future legendary comedian Stanley Baxter. No sooner had he left school than he was called up for his national service in the RAF just after the war, two years he described as the worst in his life. After the RAF, he went into his dad’s film distribution business but found that films gave him the urge to write,both prose and poetry, seeing his early work published in the Glasgow University Magazine. He was already in his early 30s when he submitted a play to the BBC as part of a competition for new writers in 1960. Titled Three Ring Circus, about a man who loses his memory, again a precursor of many future dramas or movies, BBC editors were stunned by its innovative, kaleidoscopic fantasy world and it was broadcast in 1961, starring John Breslin in the lead role, supported by the great Andrew Cruickshank (soon to become Dr Cameron in Dr Finlay’s Casebook). On 11th April 1979, a few months after the UK transmission of Running Blind, an article appeared in the Icelandic publication Helgarpósturinn stating that the lead actress Ragnheiður Steindórsdóttir (Heiða) had been offered the lead role in a three-part sequel to Running Blind titled The Assassination Run. The article indicated that when BBC Scotland had acquired the rights to Bagley’s novel they also acquired the rights to make a sequel with the same lead characters. The article stated that filming would take place in Spain and would commence later that year on 27th May with the same Producer as for Running Blind. Stuart Wilson would not be appearing in the sequel instead Jon Finch, the English actor who had performed in Roman Polanski’s film version of the Shakespearean play Macbeth, was being considered for the role . Heiða spent three weeks during the summer of 1979 visiting Spain, however filming was delayed as there was representation from the British actors association who had opposed the engagement of foreign actors due to unemployment amongst the British actors . Finch, who spent his National Service in the Parachute Regiment, stayed on as a member of the Special Air Service reserve regiment later resigning due to his acting commitments becoming more demanding. In 1972, Finch turned down the chance to replace Sean Connery as James Bond in Live and Let Die, the role going to Roger Moore, and later turned down the role of Doyle in the television series The Professionals . Finch never took the role in The Assassination Run, neither did Heiða, the lead roles going to Malcolm Stoddard and the English actress Mary Tamm. Stoddard had trained at the Bristol Old Vic Theatre School (as in fact had Heiða), whilst Tamm had trained at RADA. Mary Tamm passed away on 26th July 2012 aged 62 following an 18 month battle with cancer, in 1974 she had starred alongside Jon Voight in The Odessa File and found a form of immortality as the first incarnation of the Time Lady Romana starring opposite Tom Baker in Doctor Who . An international terrorist is thrown to his death from the sixth-storey window of a block of flats in Spain. The wife of former British agent, Mark Fraser, disappears while shopping in a remote Highland village. A group of young German tourists walk into a Scottish Police Station and cold-bloodedly shoot a policeman…this is the beginning of THE ASSASSINATION RUN. Desperate to find his wife, Mark Fraser attempts to unravel a tortuous web of intrigue and violence. His mission takes him to the tourist resorts and remote mountains of Southern Spain where he meets many old acquaintances from MI5 and the KGB together with some new ones from an anarchic terrorist brigade who, he discovers to his cost, never play by the rules. The Treachery Game, again starring Malcolm Stoddard and Mary Tamm followed, the first episode airing in the UK on 15th January 1981. A mysterious blonde shoots a British biochemist to death while he is enjoying a quiet swim in a lake in France. Former British agent, Mark Fraser, on holiday nearby, finds himself on the run after being framed for the murder. His only hope is to discover the reason for the biochemist’s death. In doing so he is led into a web of intrigue, treachery and murderous mayhem. And behind the killing there is the shadow of a horrifying secret, so frightening in its implications that the Intelligence agents of three great powers are desperate to obtain it. 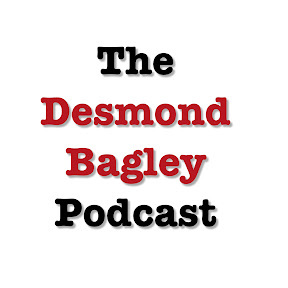 Explore a collection of interesting articles and anecdotes about Desmond Bagley and Running Blind in the Factfile. 2. Helgarpósturinn (1979). ‘Heiðu boðin ný hasarmynd’ (11th April 1979 p. 17). 3. Morgunblaðið (1979). ‘Kvikmyndatökunni frestað’ (19th August 1979 p. 55). 7. BBC Books (1980). ‘The Assassination Run – Jack Gerson’. 8. BBC Books (1981) ‘The Treachery Game – Jack Gerson’.